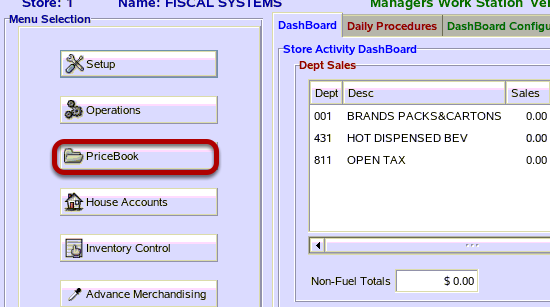 TravStar1 Point Of Sale SystemManager's Work Station Advanced Pricebook ManagementHow Do I Apply a Mix Match Code to Multiple Items? How Do I Apply a Mix Match Code to Multiple Items? 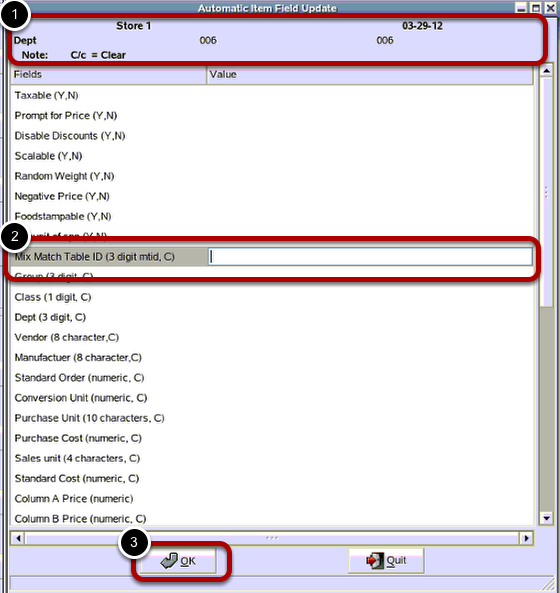 This lesson will teach you how to assign a Mix Match code to multiple items. For this example we will be applying the Mix Match ID to Department 006. Everything in this department is going to receive a Mix Match Id of 01. 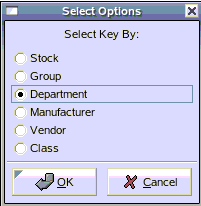 From the Begin department screen, type in the department you wish to begin applying the mix match code to. Then click the "OK" button. 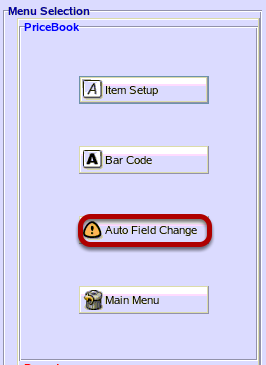 (1) From the Automatic Item Field Update screen, confirm that you have selected the correcting sorting method and beginning and ending values. (2) Click inside the Value column for the the Mix Match Table Id row. 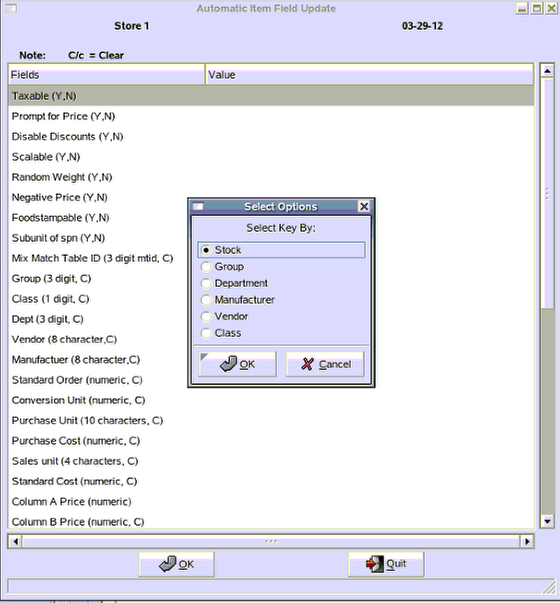 Type in the Mix Match Code you want to apply to the item. Press the enter key on your keyboard. Prev: How Do I Apply a Mix Match Code to a Single Item? Next: How Do I Set Up a Buydown?